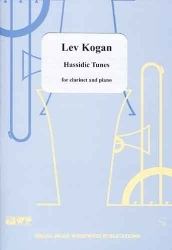 Lev Kogan (1927-2007) was born in Baku, Azerbaijan, and immigrated to Israel in 1972. Kogan attended the Moscow State Conservatory from 1946 to 1952, where he studied piano and was a composition student of Arma Khachaturian. He has devoted much time to the research, creation and performance of Jewish music. Kogan was awarded the title "Honored Artist" by the government of the USSR. Among his compositions are many works for ballet, musicals, opera, film and for television as well as some 250 Yiddish songs. In Israel he composed many productions for the Yiddish theatre and hassidic, Yiddish songs, and chamber music. 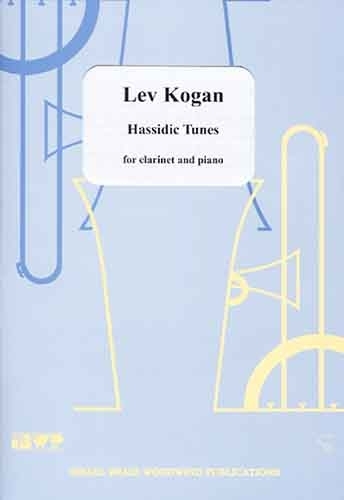 Kogan's Hassidic Tunes for clarinet and piano was published originally in 1980 by Israel Brass Woodwind Publications. We are happy to publish this new edition of this work.